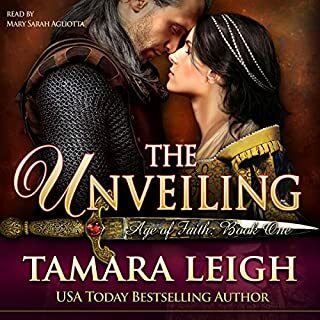 Devastated by the death of her father, Norman noblewoman Chrestien de Lontaine vows to see her twin sister wed and then take refuge in a nunnery...but the Silver Wolf has come knocking on their door and treachery is at hand. King Henry's blue-eyed champion has been sent to quell a nation's rebellion. 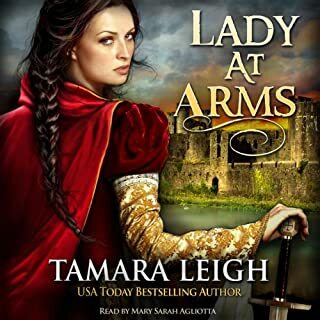 He plans to seal their peace by wedding Gilbert de Lontaine's beautiful daughter, but though the girl with smoky eyes holds his heart in peril, the real danger lurks in unexpected quarters. 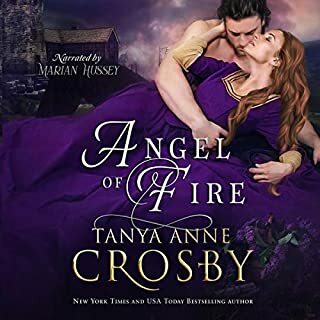 One of my favourite authors plus one of my favourite narrators equals absolutely pure bliss! Normally I can purchase and read her books without reading the reviews because she ALWAYS delivers. But in this case I didn’t think so. The book was weak, the plot was weak and I thought the characters weak. I was disappointed of the lack of faith expressed in the book and the amount of desire of another one’s spouse, or not one’s spouse. It was to strong. You don’t find the truth until the very end of the book and it does come out right...but still that’s at the end of the book so the whole time you disappointed with the characters behavior. I’m still a huge fan and will continue to read her books. Just wasn’t a fan of this one. 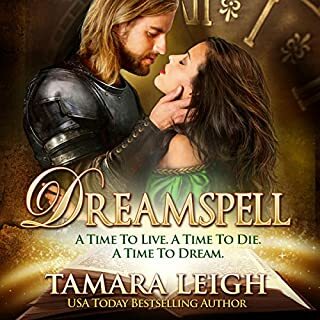 Another memorable, enjoyable story from Tamara Leigh. The last few books of hers lost my interest, but this one kept me fully engaged. Beautiful romance and redemption for a hopeless situation. Loved it! 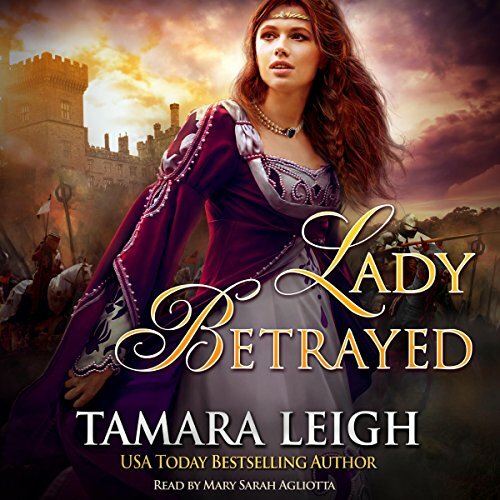 I had an 8 hour drive and I started Lady Betrayed (audio). 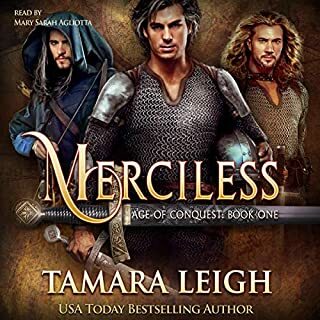 I went to work the following day and with my earbuds in, listened and finished another great book by Ms. Tamara Leigh! Thank you so much for getting me to my destination and enjoying every moment of the journey! Wonderful story. You actually felt a part of the story rather than having the story told to you. What about Mary Sarah Agliotta’s performance did you like? The story teller was amazing!! The different voices in order to identify the characters was fantastic. Excellent performance. What made the experience of listening to Lady Betrayed the most enjoyable? I get so wrapped up in the author's storylines full of faith, hope, and love. This book also included forgiveness and was underserved. I couldn't stop listening and learned how to show more forgiveness in my own relationship. 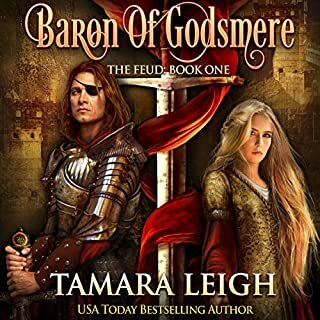 After starting one of Tamara Leigh’s newer novels and finding it confusing and less entertaining I wasn’t sure whether to try another one. But I am so glad I did. The story line was very different with the heroine being married to another. But the outcome was very satisfying. The characters and the adventures in this story were very entertaining. The heroine and hero are very likeable.